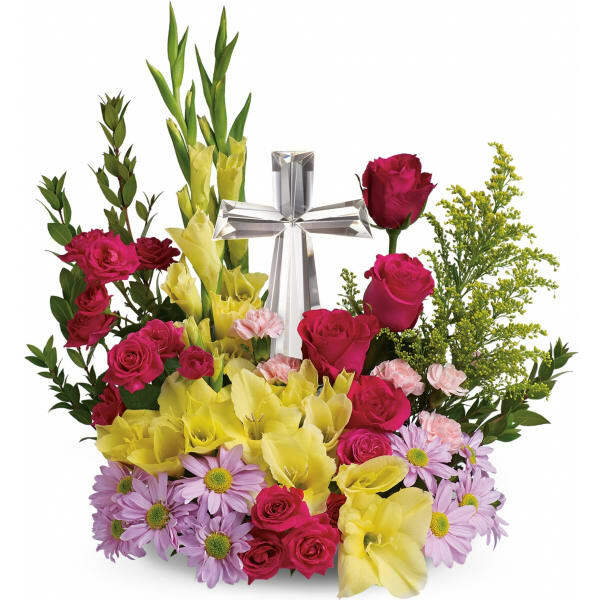 • The magnificent bouquet includes yellow gladioli, lavender daisy spray chrysanthemums, pink carnations and solidago accented with assorted greenery. 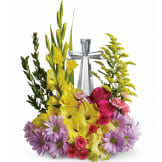 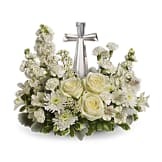 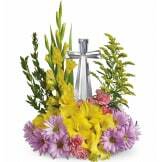 • Delivered with a 7 ½" high, multifaceted Cross. Flowers will be received by a Grand View Funeral Home & Burial Park's staff. All of our flowers are designed and delivered by hand from a local florist in in Hannibal.